Kevin was so excited about his first race report, he asked to write another one! 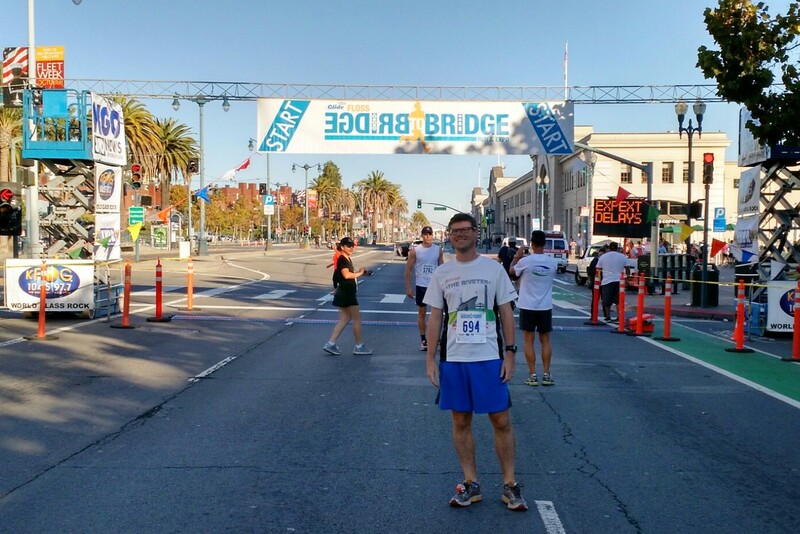 He ran Bridge to Bridge in SF last weekend and I unfortunately backed out due some foot pain. I'm happy to have him recap this one because it looked really fun. Without further ado...let's hear from Kevin. Hey! 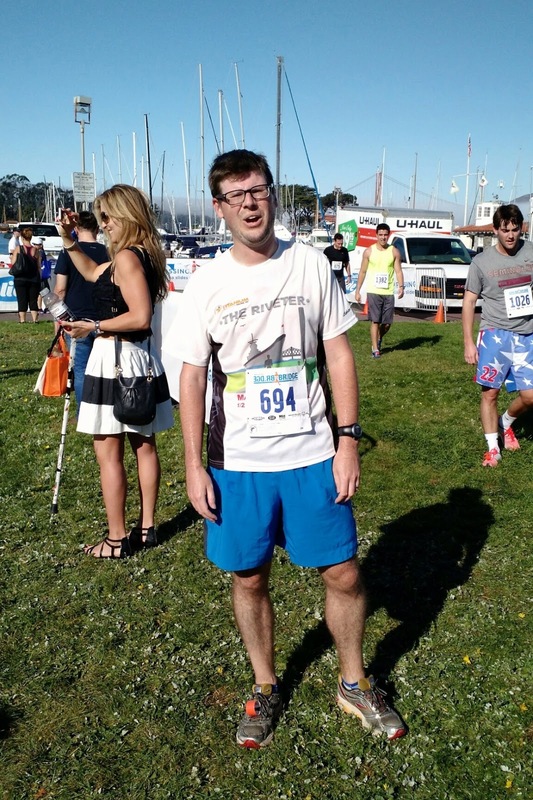 I’m back with another guest post to give you my thoughts about a San Francisco tradition: the Bridge to Bridge Run. This is my first time participating, probably because the event tends to conflict with the San Jose Rock n Roll Half Marathon, which I’ve run the past few years. I decided not to run the half marathon earlier in the year, so I finally had the weekend free for the 12K. Paulette drove me into the city the morning of the race and we arrived early enough to find free street parking and enjoy a leisurely breakfast at Blue Bottle Coffee in the Ferry Building. Paulette and I both had the caramelized Belgian waffles, which were a nice pre-race treat. After breakfast, we walked across the street to Justin Herman Plaza, where the staging area for the 5K and 12K races had been set up. 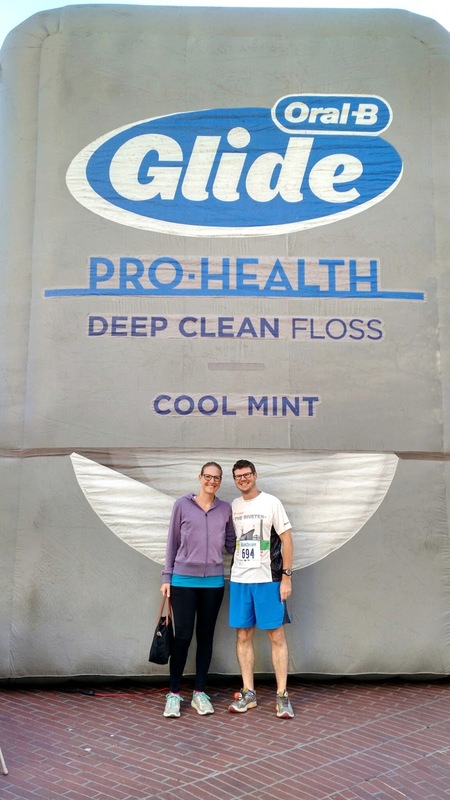 Paulette and I then joined a number of runners who were having their picture taken with a huge inflatable Oral-B Glide Floss from the race sponsor. 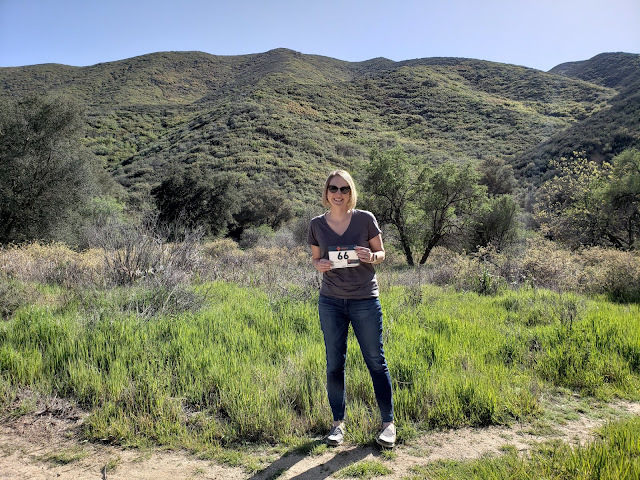 This was the 38th running of Bridge to Bridge and you could tell that the race director has it down to a science at this point. Everything went very smoothly at the start line and KRON 4 sports anchor Gary Radnich was there to say a few encouraging words to the runners. Standing in the middle of The Embarcadero. The 12K course is along the San Francisco Waterfront. Runners start in front of the Ferry Building and run up The Embarcadero through Fisherman’s Wharf. From there, runners pass Aquatic Cove and climb a hill at Fort Mason. 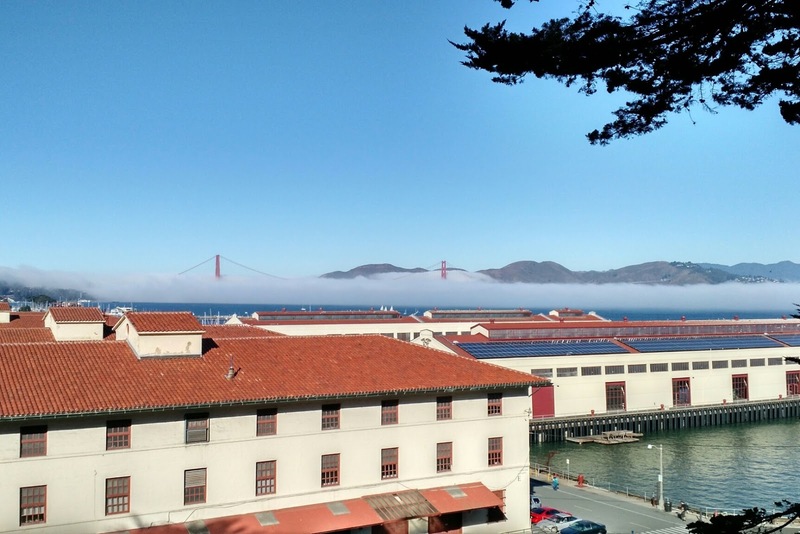 Coming out of Fort Mason, the course runs along Marina Green and Crissy Field to a turnaround at Fort Point. Runners then loop back through Crissy Field to the finish line / expo on Marina Green. This was my first time running a 12K race and it was a nice change of pace from the half-marathon and marathon distances that I’ve been running lately. I ran a comfortable pace and finished in 57:31. Course Support: There were many volunteers and several aid stations on the course. The Finish Line / Expo: There were a variety of refreshments available at the finish line / expo on Marina Green, including bottled water, protein shakes, clementines, and almonds. Soul band St. Paul & the Broken Bones provided post-race entertainment. School buses were standing by to ferry runners back to the start. 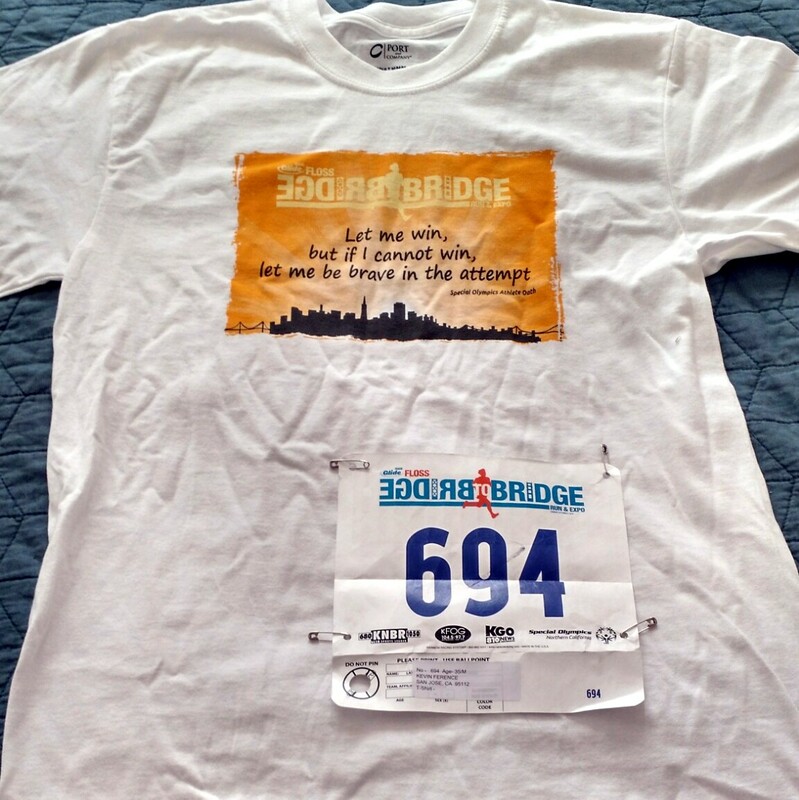 The Swag: Finishers received cotton shirts with the Special Olympics Athlete Oath and a poster. 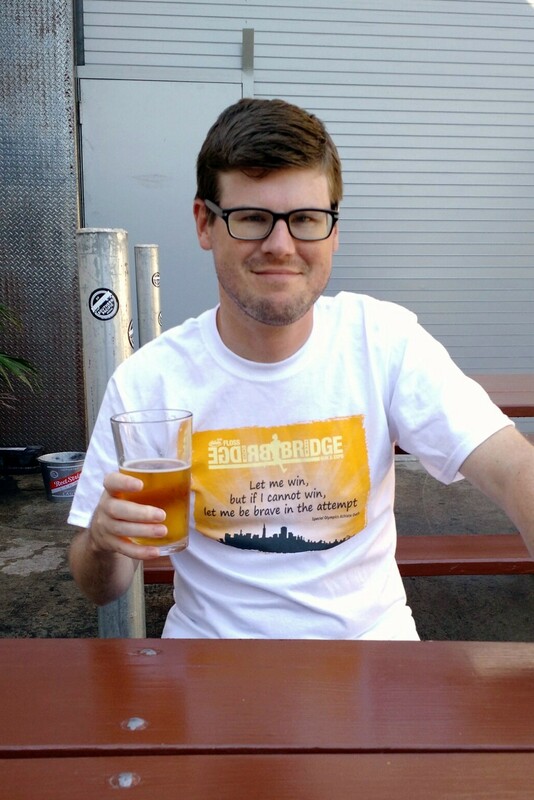 The shirt was very comfortable and I wore it to lunch at Southern Pacific Brewing after the race. Cotton shirts with the Special Olympics Athlete Oath. 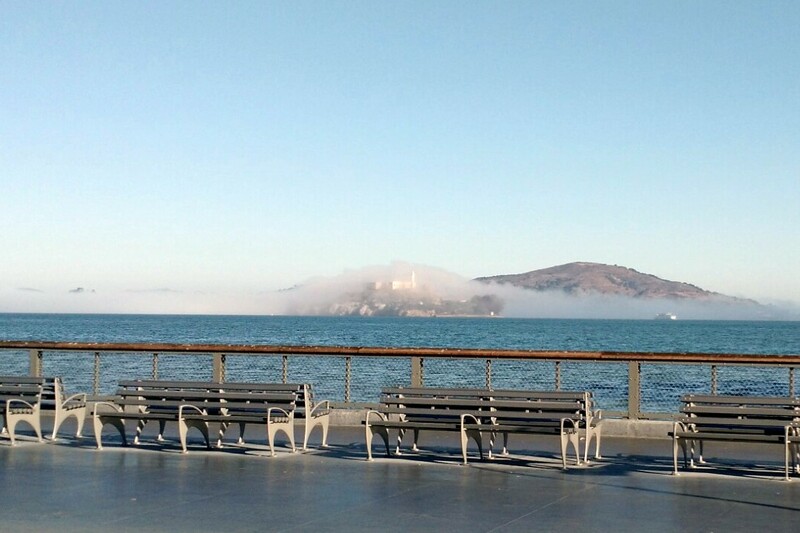 That’s all for me, but you might want to pencil in the Bridge to Bridge Run in San Francisco for next October.